Do the rioters have a legitimate grievance? Is rioting a good strategy for addressing that grievance? In view of our answers to the first two questions, should we empathize with the rioters? I’ll do these one at a time. 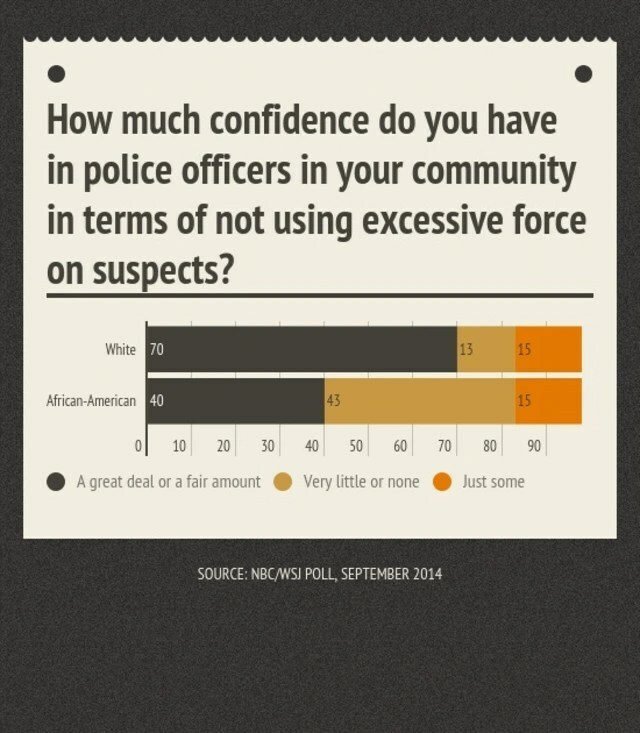 Blacks are 31% more likely to be pulled over than whites. Blacks are more than twice as likely to be searched by police. They are nearly twice as likely to not be told why they have been stopped. In Baltimore specifically, blacks are 3.4 times more likely to be arrested than whites. Blacks are 4.2 times more likely to be killed by police. Black teenagers are 21.2 times more likely to be killed by white teenagers. In New York, the racial composition of a neighborhood predicts the incidence of stop and search even when researchers controlled for differences in both poverty and crime rates. To make matters worse, research has also shown that Baltimore has minimal social mobility–out of 800 children studied over a quarter century, only 33 managed to move from the lowest income bracket to the highest, and 50% remained in exactly the same bracket their parents were in. Only 4% of the children from low income families were able to get a college degree. Among whites and blacks of identical educational attainment, whites were more likely to get better paying jobs and were paid more than twice as much as their black counterparts. The researchers hypothesized that these disparities in employment and wages were due to differences in access to social networks–whites tend to have more friends in the right places. So do these people have legitimate grievances? You bet they do. Is Rioting a Good Strategy? But because blacks don’t have the money, they don’t have the power. They are not going to succeed in seizing money, property, or power through violence. Baltimore’s police are going to win any confrontation, and if there is any serious danger that the rioters will overcome the police, the state and national guard will be deployed. The rioters do not have the strength to overcome these forces, and when they lose they will likely find themselves even more alienated and marginalized than they were to start with. In the meantime, many of them will have been arrested or hurt, and many police officers will be injured as well. If we’re unlucky, there might even be fatalities on one or both sides. None of this will accomplish anything positive for Baltimore’s poor and marginalized. Rioting is a terrible strategy, it will fail and it will inflict unnecessary suffering on an immense number of people along the way. But can we blame the rioters for rioting? These are people who have grown up in poverty with no way out. They think that society doesn’t care about them, that the lives of black people or poor people aren’t worth as much to the state or to wider society, and the statistical evidence suggests that they’re right. In the 2016 election, we hear all sorts of chatter about how the various candidates are going to cut spending, cut taxes, and shrink government. We hear nothing about how these candidates are going to help poor people in places like Baltimore find better lives, nothing about rectifying police disparities, nothing about creating new, innovative policies to help disaffected people integrate into society. Can we blame them for feeling marginalized, disaffected, unimportant? Can we blame people who are uneducated, who have been denied opportunities and resources for lashing out? How does it help us heal our social rifts to call poor, marginalized people “animals”, “thugs”, or “scum”? This language of blame contributes to the popular and false narrative that if poor people only tried harder, if they only chose to act differently, their lives would be better. These are people whose parents (if they were lucky enough to have both in the home and neither was abusive) worked multiple jobs all day and sometimes into the night, who didn’t have the money to send them to fancy schools or give them life-changing experiences. These are people who were given up on from day one, who were never told they could do anything with their lives or given any of the tools necessary to make anything out of them. Even the worst rioters–the ones who are only in it for looting, who don’t even care about the political cause on a conscious level–these people are victims of a social system that advantages the children of the affluent, ignores them, and then demands that they end up in the same place. When we as a society put in nothing, we get nothing back. It takes more than a village to raise a child in this day and age–it takes a society, and we’re absentee. Treat people like they mean nothing, and they’ll treat you like you mean nothing. It doesn’t make it right, but it does make it predictable. We are the ones who can stop it, we are the ones with the money and resources to change the equation. We can have a government that gives these people resources and opportunities so that they can participate and contribute to our society in positive ways. None of us are better off allowing millions of people’s lives to come to nothing. Each of these people is potential our society has lost and wasted. But when the time comes, what do we do? We vote in more politicians who promise to cut our taxes and reduce spending, who let the affluent keep more of what they make and send less of it to those in need. This is what results from our indifference. We reap what we sow. I was on Tumblr earlier and a number of people both there and on Twitter have said that the only reason these people rioted was because when their classes finished at the local school, they had no way of getting out of town, because the police had closed transportation and that in effect, a media beat up was failing to understand that these people have essentially been punished for leaving school. I read a heavy, heavy piece, I think it must have been an essay, but it made all these excuses for the behaviour of the rioters. For example, they said that those looters were taking what they could take with fire and violence at the ease with which a white man could take with his wallet, and that they wanted to shock the white community. I don’t know if the statistics of being 21 times more likely to be killed by police is accurate, I mean how many instances of police deaths have their been in the United States? Probably not many to choose from. Furthermore, I always say this to people. What about the reasons for police pulling someone over for a check or a search? I am a Muslim, I am clearly one, but I have never been targeted by police or pulled over or searched, or the things that most of the people in my community complain about. They talk about how they’re sick and tired of being targeted just because they’re Muslim, how the cops are Islamophobic in their operations. So why is it that they have evaded me? Police will always pull someone over if someone catches their attention or they could be suspicious. For example, I remember, a black actor was so tired of being pulled over that he sold his $90,000 Mercedes-Benz and bought three Priuses with the money. He was never pulled over again. The presence of a $90,000 Mercedes Benz was a pretty big detail to leave out in the initial point, in the experiment. The bloke was drawing attention to himself in driving in a Turbocharged V8 Merc. I am more likely to get pulled over by the cops or searched if I bring attention to myself rather than not, and that’s not a meter of me being Muslim, that’s common sense. Suspicions get aroused. And besides, being pulled over for three minutes every week or two weeks is not a big deal. I’m very hesitant to trust people on Tumblr over journalists on the ground, but even if it is the case that people were reacting to being denied access to public transport, this is not something we would expect to see happen in most communities were it not for the history of tension. The police certainly would not have stopped public transport if there was not already a significant risk of disturbance. Each of the statistics I use comes with a link to take you to the original source, in many cases with the methodology used. The 21 times statistic, for instance, is based on over 1200 police shootings over a two year period. That’s considered a rigorous sample size. In a community with less socioeconomic and racial tension, protests would have been more muted, police response would not have been as substantial, and rioting would not have happened. I would caution you and anyone else on overgeneralizing from personal experience. Statistical evidence takes into account the experiences of hundreds, thousands, sometimes millions of people, and is much more accurate than any one person’s account. One of the biggest mistakes people make is assuming that their own life experiences are comprehensive enough to give them an intuitive understanding what statistics are true and what statistics are false. Being Muslim in your community may not have anything like the same consequences as being black or poor in Baltimore, and even if it did, your personal experience need not be representative of general trends. I posted this weekend a potential solution for the racial unrest in America. I suppose it didn’t process. I propose the following, find someone who has status. Like Obama, Micheal Obama, a movie star, a person who people are likely to hear, who are in favor of resolving racial unrest. Have them put on a grey t-shirt that says “I stand grey” what is he or she saying? I am not black nor am I white “I stand grey” it is a place of neutrality it separates those who seek peace from those who prefer unrest. If you want peace, you have to take the first step to resolve. Not just make commentaries. I don’t see how that would in any way resolve the inequality and social mobility problems I talk about above. Frankly, I think “I stand grey” is a trite and meaningless marketing slogan. I realize that I would receive criticism. It comes with the territory. This proposal, though it seems ineffective is much better than all the commentaries made that offer no solution. Think outside the box and reason with the idea. Place yourself in the minds of many people who have no answers, no ideas, no hope. Please offer me another solution not another comment. There are lots of solutions, but they require government action (redistribution, police reform, body cameras, etc.) Argument is the way that we convince people to support policies that will improve people’s lives. “Standing grey” is not a policy proposal, it is a slogan. I have no idea what it means to “stand grey” based on your description. What policy agenda does this entail? Your original comment does not make any such policy implications clear, if there are any. One subtle (but important) bit of statistics I think you missed. In reference to the searches per traffic stop and percent caught with contraband. You say blacks are less likely to be carrying contraband. In reality, the graph shows that among those stopped, blacks had less contraband. Assume the police are searching what they consider the most unscrupulous 0.40% of white drivers and 1.7% of black drivers, and assume the population sets are identical. 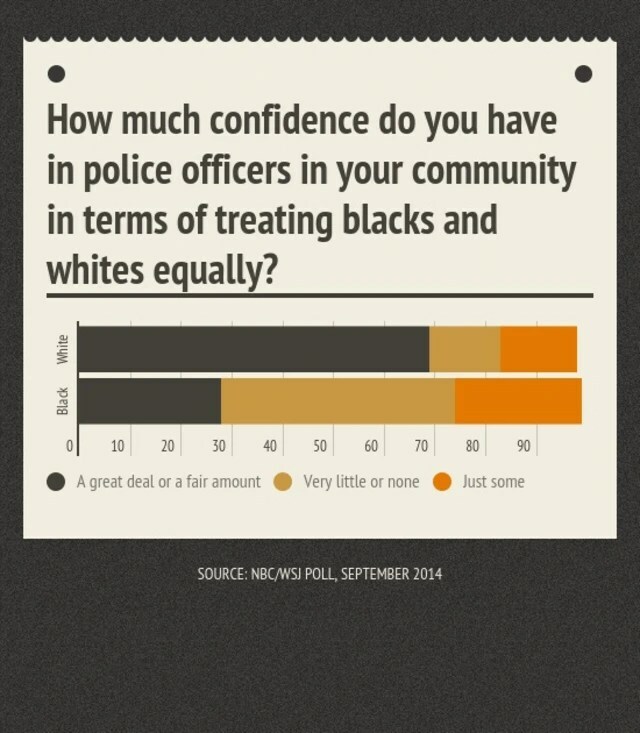 One would expect a far less amount of black drivers searched to be carrying contraband. In other words, there should exist a standard distribution of the likelihood of carrying contraband. If police are doing a decent job of picking the people with high likelihood (and 1/4 of whites searched had contraband; I don’t think that’s representative of the population as a whole, so they are surely not picking at random), then the black population penetrates more than 4 times as deep into the “normal likelihood of carrying contraband” range. Thus one would expect a smaller percent of contraband found. If the distribution were approximated as linear in this region, one would expect the black driver just on the cusp of adequate suspiciousness for the police to search (call her 1.7 percentile) to be approximately 4 times less likely to have contraband than the 0.4 percentile white driver. Summing over the area 0-0.4 with equal probability, 0.4-0.8 1/2 as likely, 0.8-1.2 1/3 as likely, and 1.2-1.7 1/4 as likely, you get 0.86. There should be 0.86/0.4 = 2.1 times greater percent of whites found to have contraband. Lo and behold 24.3/11.6 = 2.1. Not a huge point, but my sociology teacher would always make the same claim and I could never get this point through that social sciences laden head of hers. That’s a fair point. In light of your observation, that research merely provides further evidence for the disparity and shows that there is no significant difference in the contraband carrying rate–it does not show that blacks carry less contraband. Given the other research I cite, it doesn’t significantly hinder the larger argument, but it’s a fair point. Thank you for making it. I’ve adjusted the relevant line. Sorry for the reblogged above. I am not an American but then I do know about what is going on and I guess I am very much impressed with your post. I dont know how to comment on it but then I do love one thing that you said “When we as a society put in nothing, we get nothing back. It takes more than a village to raise a child in this day and age–it takes a society, and we’re absentee. Treat people like they mean nothing, and they’ll treat you like you mean nothing.” because its pretty much the same stuff that goes on in the country I live. No need to apologize–I’m glad it resonated in your entirely different context. Thanks for reading! Throughout history, rioting never works! Except, of course, when it does. A couple of incidents in 18th century France and 20th century Russia come to mind. In America there aren’t yet enough empty stomachs to pull it off, but we’re getting there. In those situations, the rebels were able to gain military superiority, either because the rebels themselves were armed or because the military itself joined the rebellion. Baltimore is not that kind of situation.